← Dragonflies and Damselflies – Summer is finally here! Posted on August 12, 2014 | Comments Off on 2015 Membership Renewal time! ABNC remains dedicated to providing natural history experiences to all. 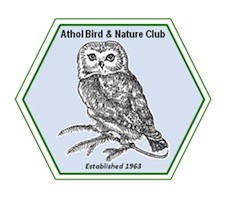 The 2014 membership year brought sadness to the Athol Bird and Nature Club, as our founder passed away. Bob Coyle was passionate about his teachings. His enthusiasm for the natural world was passed on to his students, both young and old. It is with his passing that we remember the importance of keeping the Athol Bird and Nature Club active and vibrant. We are also reminded that it is the new generations of nature lovers that will keep this club growing far into the future, and keep the memory and passion of our founder in our hearts and in the beautiful natural spaces that surround us. In honor of Mr. Coyle, we are challenging our current members to renew their membership, and also include a gift of membership to a person from a younger generation. Reaching young people like this group of teenagers at the Massachusetts Junior Conservation Camp Where ABNC president Dave Small presented a talk and field trip on Dragonflies. With the 2015 membership year upon us, we have found new energy that we are hoping to harvest to make this year the biggest increase in membership history. We have lofty goals in expanding, and reaching new audiences, especially those of the younger generation. Please help us reach those goals by giving a gift of membership, and encouraging friends and family to not only join the club, but get involved. Additional donations are welcome, and allow us to accomplish more, and provide more for our community. We always have excellent opportunities for folks who are looking to do community service for school, beef up their resume, or get involved in some inspiring work. Your donations to our Club give us the financial means to provide our community with several free or low cost events throughout the membership year. These events keep us connected to nature in the fast-paced technological world that we live in. Your support allows us to keep the Millers River Environmental Center open as a community gathering place that houses our incredible natural history collection. This community resource is expensive to maintain, and if we are unable to raise enough money for the increasing cost of electric and heating bills, we may be forced to shut the building down during the winter months. Ideally, we would like to raise enough money throughout the year to not only pay the bills, but to also fund some major improvement projects to the Center. We appreciate your continued support. Our organization’s dedicated volunteers hope to continue to provide the public with programs that excite and delight our community. We hope that our passion is contagious and we can continue to meet new people and broaden our community of nature conscious citizens. Your timely response will help us plan the exciting year ahead. Tiger Swallowtail nectoring on Coneflower. Remember nature’s beauty is always close at hand if we choose to observe.